One can argue that all budgets are equal but some budgets in India’s economic history stood out. 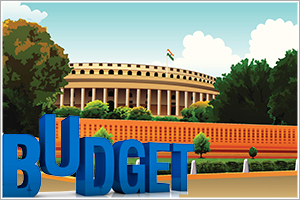 Here are 10 such budgets. George Bernard Shaw referred to the Budget as an attempt to equate earning capacity with yearning capacity. Since 1947, budgets have been presented each year explaining the performance of the previous year and outlining the game plan for the next year. One can argue that all budgets are equal but some budgets in India’s economic history stood out. Presented in February 1950 by John Mathai, it led to the formation of the Planning Commission. The Planning Commission was a brainchild of Nehru and Mahalnobis and created a mechanism for central allocation of resources. It divided expenditure into Plan and Non-Plan. The system continued for several years, although Planning Commission has now been replaced by Niti Aayog. The 1968 budget presented by Morarji Desai was sensitive to simplicity. Until 1968, excise inspectors used to stamp and assess goods at factory gates. That was cumbersome and also led to corruption. Desai made a quantum shift to self-assessment by manufacturers. The excise duty is now subsumed into GST, but the self-assessment practice still continues. A young Rajiv Gandhi had formed a cabinet of brilliant professionals and VP Singh was one of them. As finance minister, Singh introduced the concept of value-added tax (MODVAT), which became the basis for manufacturers getting input credit. This reduced the cascading effect of excise duty and remains the guiding principle of GST. Rajiv Gandhi took over the finance ministry after VP Singh and presented the 1987 budget. One of the noteworthy announcements was the introduction of the Minimum Alternate Tax (MAT). This prevented companies from deferring taxes to perpetuity via differential methods of depreciation. Companies had to pay up part of their taxes, and this was instrumental in boosting corporate tax collections. If budgets can be broken up into two eras, it has to be pre-1991 and post-1991. Dr. Manmohan Singh ushered in unprecedented reforms in this budget. The license raj was dismantled, customs and excise rates were cut to competitive levels, and foreign investments were welcomed with open arms. Economic independence for India actually began with this budget. In a way, this budget was an eclectic mix. It introduced the Voluntary Disclosure of Income Scheme (VDIS), which despite ethical concerns collected Rs10,000cr. The budget also cut income tax rates and corporate tax rates to improve compliance and remains the template for reformist coalition budgets. The stage for creating billion dollar software behemoths in India was set in this budget. India was just about recovering from the tech meltdown, and Sinha took the bold step of phasing out perpetual tax incentives for software exports. This laid the base for the Indian IT industry to become globally competitive and grow manifold. The 2003 budget was significant for the massive allocation of Rs75,000cr for the Golden Quadrilateral project. The national Highways grid gave an unprecedented boost to the India growth story and set the tone for the big bull rally that extended all the way to 2008. NDA’s “India Shining” campaign had flopped, and Chidambaram was back as Congress finance minister. He introduced the securities transaction tax (STT) on the transaction value of equities and scrapped the capital gains tax. The markets took time to adjust but eventually it led to a massive growth in market volumes and changed the aura of Indian markets for ever. Budget 2018 made the first attempt to double farm incomes by 2022. The minimum selling price (MSP) was fixed at 150% of the cost of producing Kharif crops. The actual impact is yet to be seen, but it does set the stage to enhance farm incomes.